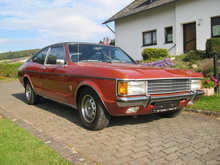 Ford added an attractive new model to its Granada range in 1974, the Ford Granada Coupe. Below the waist line the Coupe looked identical to its four door saloon counterpart, however the Coupe had only two doors and featured a "fast back" roof which gave it a sleek appearance. 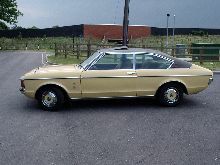 Although a 2.0 litre version was available initially virtually all UK cars were 3.0 litre V6 models and had "Ghia" trim. 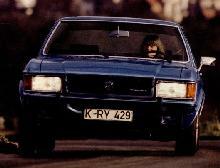 The Ghia package included velour upholstery, deep carpeting and a wooden fascia. 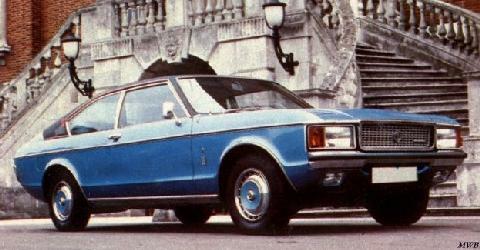 The Granada Coupe was well built but less practical than the regular Granada saloons and sold in small numbers. 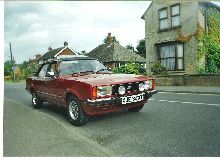 Thanks to an appearance in the Blur pop video, "Park Life" the Granada Coupe has gained renewed interest in the last couple of years.